Your network is constantly changing. InterMapper makes it easy to keep up. 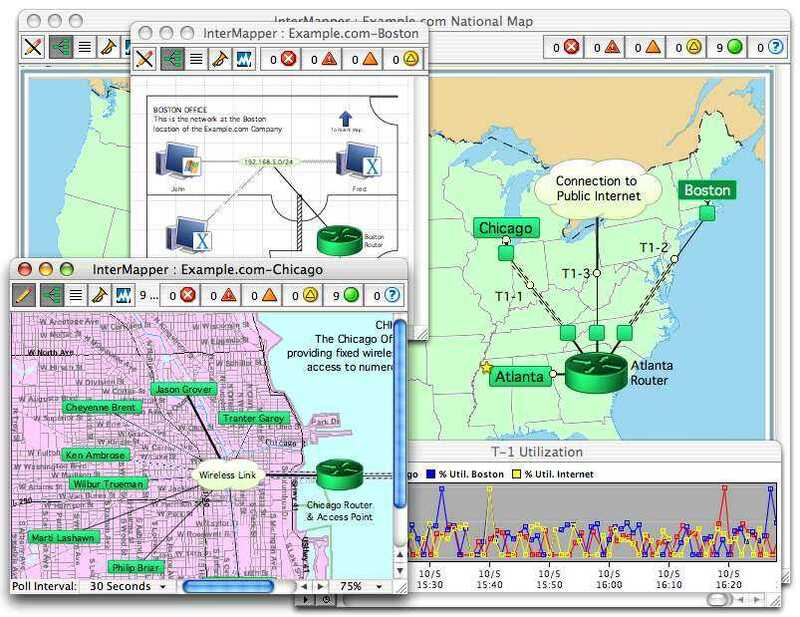 Live network monitoring, mapping, traffic analysis capabilities provide 24 x 7 intelligence on overall network operations, including bandwidth usage, network traffic, and performance degradation. Network maps provide at-a-glance visibility of device status and real-time network traffic analysis. Color-coded icons show which network devices are overloaded, underperforming, or down. 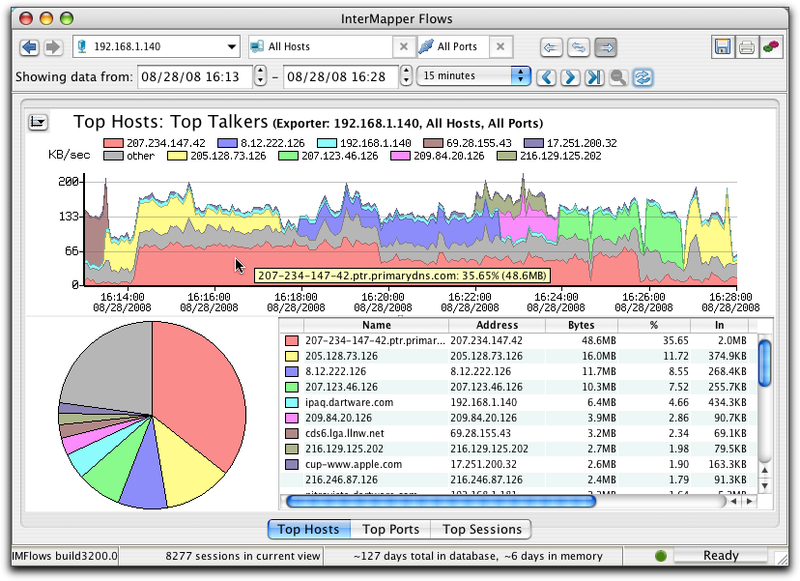 Animated traffic "ants" make heavy network traffic patterns obvious and provide one-click access to underlying NetFlow data. 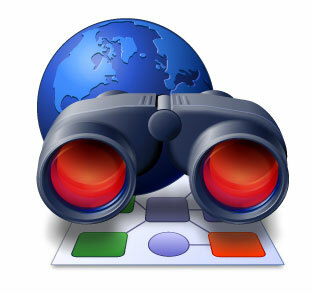 InterMapper network alerts identify potential problems before your end-users notice a thing.